Why travelling with a baby or toddler in Seoul does not need to be hard work! Follow my recommendations and you will be the envy of your friends with or without a toddler. Friends without kids, may just wish they had kids so they can bring them to your Seoul's kids hot spots! Seriously! 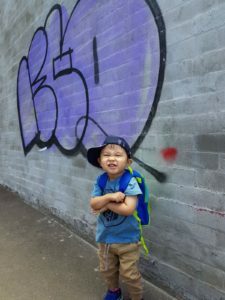 I have summarised the best of the best kids activities in Seoul that you should do when travelling with an infant or a toddler. While in Seoul, like I did, stay at a family friendly hotel right in the middle of everything, "Savoy Hotel". Make sure you spoil yourself silly with shopping in some of Seoul's top shopping spots. For a few hours break, visit a Kids Cafe and let your toddler run free while you chill out with some coffee, cake or just browse on the internet on free wi-fi while inside the Kids Cafe. When your toddler has had enough, visit one of Seoul's best Korean BBQ restaurant. All sounds too good to be true? Yes it is true! It can be done! Oh wait! Don't forget about the Baby Food! I have some tips on Baby food and some bonus travelling tips! Follow some of my recommendations and and you can have the most memorable holiday! Good Luck and have fun! Easy to get to Kids Cafe in Seoul. No cheating so no Ubers or taxis. Must be able to take the Seoul subway directly there and only a short walk from the subways! Feeding Baby Z while in Seoul. 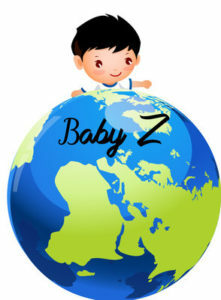 Baby Z puts on 0.5kg after just one week in Seoul! Foodie in the making! The baby friendly hotel that ticked all the boxes while in Seoul. Kids clothing and ADULT fashion shopping. Yes You! Adult shopping. You didn't come all the way to Seoul just to entertain the baby did you? I sure didn't! Also, what are the latest make-up and fashion trends currently on offer while I was here. Places I dined in with Baby Z and even the young and without kids Foodies are lining up to get in! Yes it is still possible to get eat the best food with your little one. When there is a will, there is a way!